If your horse must wear a blanket, it will be most comfortable and safe in one that fits correctly. Whether you want a cooler fly sheet or a warm winter rug, you'll need to measure your horse for the correct size. An ill-fitting blanket can pull and rub and can be even hazardous for your horse to wear. You will want to get one that fits just right. Just like clothing and shoe sizes, blanket sizes tend to vary slightly. You may need to try a few to find the perfect fit. If your horse has a very wide chest or thick neck, you may need to a blanket that is cut deeper through the neck area or has extra wide gussets at the shoulder. Turnout rugs and other blankets can come in different cuts. Once you have the measurement, manufacturers such as Weatherbeeta and others have sizing charts to help you choose the right blanket for the shape of your horse. 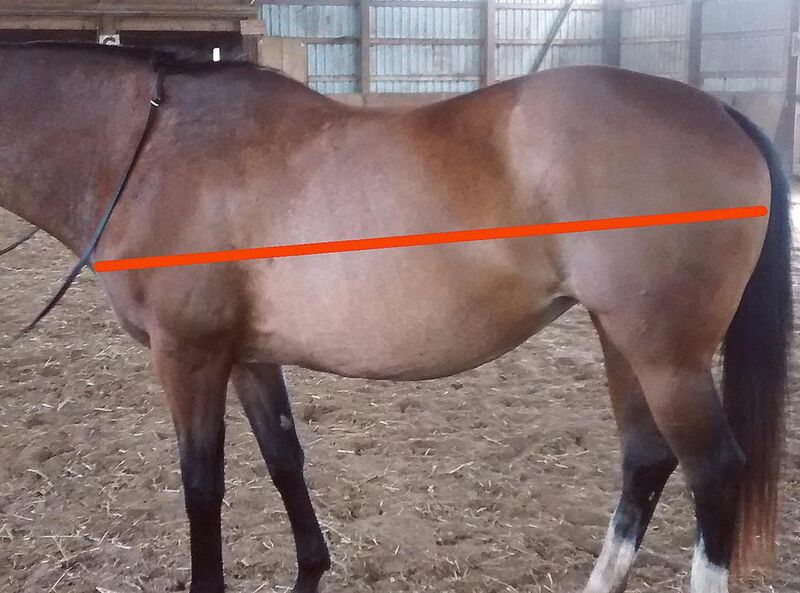 Here is the basic way that you can measure your horse for a blanket so you'll be able to choose a close size when you visit the tack store. A long piece of non-stretchable string or twine. Perhaps knot two pieces of baler twine together. A notepad and pen or pencil. While you could simply use a flexible measuring tape, twine has advantages. Many measuring tapes rattle and crinkle which lots of horses don't like. If you drop the twine in the process, you don't have to worry about cleaning it up, you can put it in the trash. Keeping the twine even, measure around his shoulder, over the barrel, and around his haunches to the edge of his tail. Be sure that the twine stays parallel to the floor/ground. With the marker, put a mark on the twine where it meets the edge of the horse’s tail. Measure the twine with your tape measure from the mark you made, to the end that was at the horse’s chest. Write down the measurement so you don't forget when you go to the tack shop. This measurement is the size of the blanket you’ll need. If the measurement is an odd number, add one to it so you get an even number. For example, if you measure your horse and the measurement is 73 inches, add 1 and buy a 74-inch blanket. Most blankets have plenty of adjustment room, so you’ll be able to let the front fasteners out to accommodate that extra inch. Ask for the store’s return policy just in case you make a sizing mistake. Be sure to keep the blanket clean when you try it. Put a light sheet on your horse first, and then put the blanket on over top. If it needs to be exchanged clean up any stray hairs with a lint roller. For a horse that is difficult to fit, consider having a blanket altered. Your tack shop or blanket cleaner should be able to help you find someone who does this.